Specifically designed to commemorate the 75th anniversary of USA Hockey, this sports watch you will treasure and wear everyday. Quartz movement, black velcro band, with silver metal case comes packed in a silver tin with open window. Proudly displaying the USA Hockey 75th anniversary logo. DISCONTINUED ITEM AND AVAILABLE ONLY WHILE SUPPLIES LAST! This performance polo has a soft feel and a great look with the USA Hockey? Arc & star logo embroidered on the left chest. Colors White, Red, and Navy. Sizes Small - 3XLarge. This classic tee has a super soft feel and a great look. Surprise Dad with this USA Hockey t-shirt. He will proud to wear it. Color White. Sizes Small - 2XLarge. Positively fashion with this french terry hoodie. 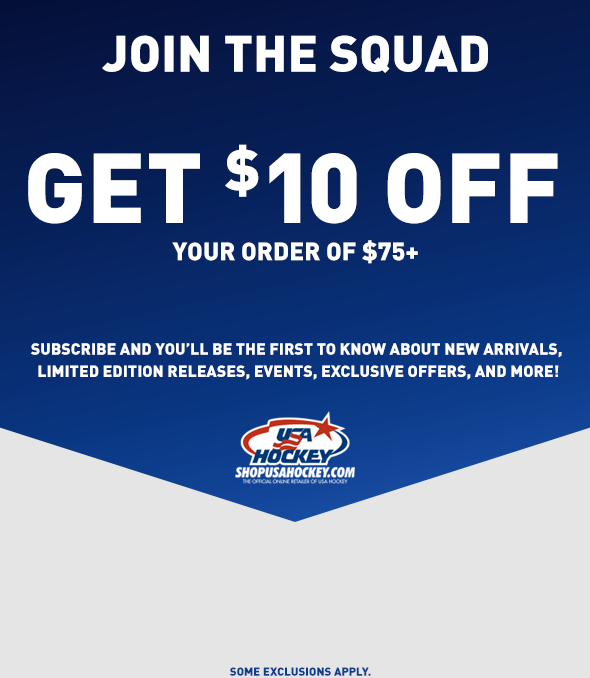 This hoodie comes with the USA Hockey logo imprinted in navy foil on the front. Color Wildberry. Womens sizes S-2XL. 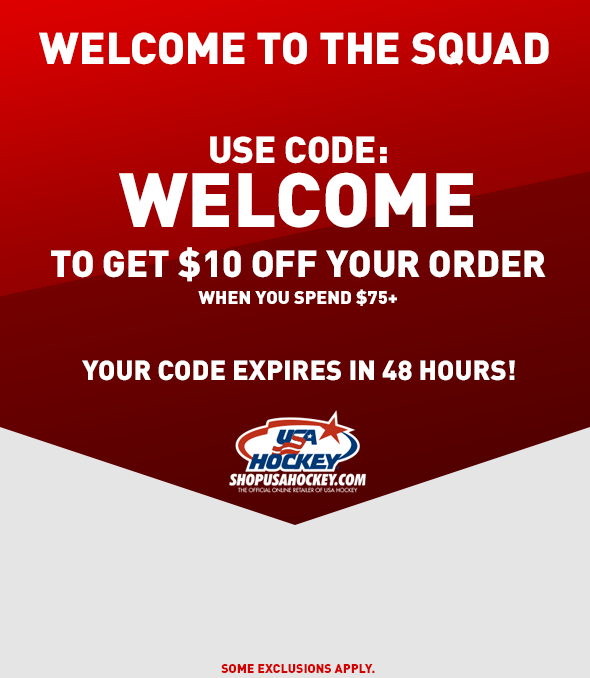 This Womens t-shirt features a v-neck front with a simple USA Hockey design. Womens cut. Size S-2XL.